Maruti Suzuki India, the country’s leading auto manufacturer is working on the new generation Alto hatchback which has been spotted testing on Indian roads lately. 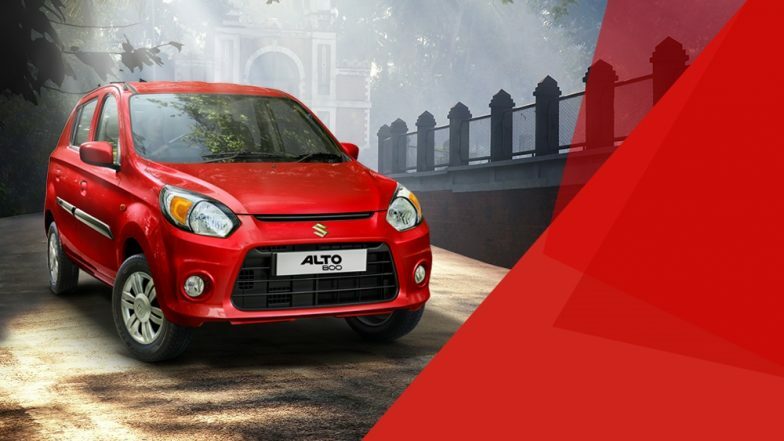 According to the media reports, the car maker will be launching the new Maruti Alto by H1, 2019 probably June or July 2019. Another report from Gaadwaadi.com claims that the Maruti has stopped the production of Alto 800 small car in India. It is also important to note that the Indo-Japanese phone maker has cut vehicle production by approximately 21 percent due to subdue demand. Gudi Padwa 2019 Discounts &#038; Offers on Cars: Up to Rs 1 Lakh Benefits on Maruti Alto, Ertiga, Tata Tigor, Toyota Innova Crysta & Hyundai Grand i10 & Honda City. The entry-level hatchback has been in the Indian market since 2000 which was car maker’s best-selling vehicle until 2018 when Dzire sedan dethroned it. It is important to note that the new safety norms will kick-in by October this year. This crash norms will include full front impact, off-set impact and side impact tests. Additionally, the Indian government will also be bringing BS-6 emission norms by April next year. The current generation Alto will not be meeting the upcoming safety norms. It won’t be surprising if car maker decided to discontinue such cars from the domestic market by the end of this year. These steps have compelled the car makers to upgrade the exciting cars in their portfolio or discontinue them. Maruti Suzuki Ciaz 1.5-Litre Diesel With New 6-Speed Gearbox Launched; Price in India Starts From Rs 9.97 Lakh. Talking about the new Maruti Alto, the entry-level hatchback will be based on Suzuki’s new Heartect platform which is also employed by Wagon R and Swift. It is also reported that the next-gen Alto will be offered with a 1.0-litre petrol engine options. To be inspired from Suzuki’s Concept Future S, the new Alto reportedly will be called as Alto K10. The new model will carry SUVish like appearance which will bring more cabin space particularly because of the increased dimensions. Maruti Suzuki Gypsy Discontinued in India; Maruti Suzuki India Stops Production For Iconic Off-roader After 34 Years. The report also highlighted that the pricing for the new Maruti Alto will be premium than the outgoing model. Previously, there have been several reports claiming that new Alto will be powered by an all-new 666cc, 3-cylinder turbocharged petrol unit, which is claimed to be more powerful than the regular 800cc engine. The outgoing petrol mill makes 48 bhp and 69 Nm (40 bhp & 60 Nm – CNG) of power figures and comes mated to a 5-speed manual transmission.